If your questions have still not been answered, "Submit a Request" and let us know and we will continue to update this article to ensure you are informed. We will also be adding new settings in future updates; these are just the initial settings as we get started. *You can access 'Settings & Privacy' from the main menu (small arrow in the top right of the screen beside your profile image). Helping your community is amazing and we don't want you to miss a thing. There are currently 3 notification settings that you can customize to ensure you are being emailed when you want to be. This setting ensures that when an important activity happens on Do Some Good that is related to you (e.g. being approved for a position, being invited to a position), you will be informed so that you don't miss out. 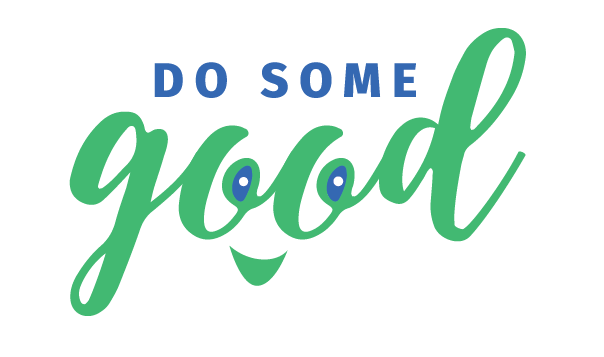 Receive an email when you have been sent a message on Do Some Good. This is extremely helpful when volunteering for a position or event, so that communication is immediate between coordinators and volunteers (especially if there are last-minute updates). We encourage you to keep this option as it will ensure you get our newsletter, which will have tips, tricks, and announcements of new exciting features! There are currently 4 different privacy settings that you can customize to ensure you feel safe and confident with what is being shared with others. Your profile can be used to inspire others and used as a record of your community involvement, similar to sharing your LinkedIn Profile. If you are an employee, your employer and co-workers will be able to view your profile to improve team-building and recognition within your company. If you apply for a new position on Do Some Good, the volunteer manager will be able to see your profile to make an informed decision of making the best match for their needs. This setting allows any user on Do Some Good to be able to find your profile (similar to LinkedIn). We encourage you to share with others as it will inspire others to get involved to make your community a better place. You can "Preview" what others see, as your personal information (e.g. phone number) will not be seen. *NOTE: This privacy setting can also be changed from your profile. Perhaps you want to show your entire profile, but are not interested in showing your total number of hours. If this is the case, then there is no need to hide your public profile, you can simply hide this one section. I'm sure you've seen on many websites a view of "Who's going?". You might see that one of your Facebook friends are going to an event and decide to go for that reason. On our Event and Volunteer Position pages, you will see a box that shows current volunteers. It will only show your profile picture and first name. Users will not be able to click through to your profile or learn more about you from here. This setting will hide you from these pages, even if you are volunteering for the position. Volunteering is fun, but it's even more fun with friends! We encourage you to keep this on as it will inspire others to come out and get involved. Can't find a position that fits your needs? No problem! Allow organizations to contact you with potential opportunities with one click. You will be added to a list and organizations will be able to message you if they feel you would be a fit. *NOTE: This privacy setting can also be changed from the "Get Involved" page.